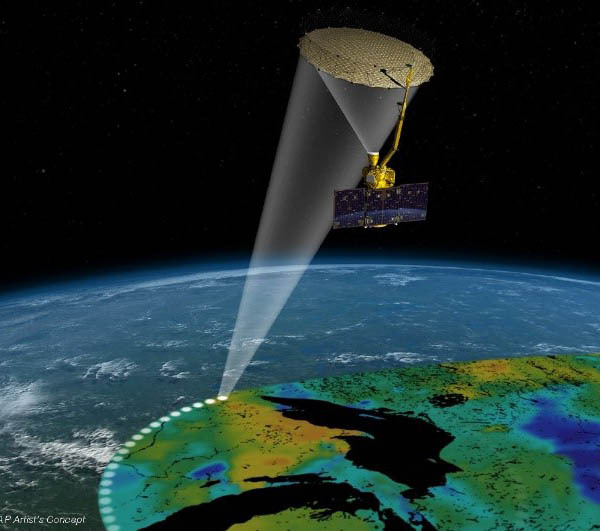 The Soil Moisture Active Passive (SMAP) mission is a first-tier NASA Decadal Survey mission successfully launched in January 2015. The SMAP satellite consists of L-band radar and radiometer sensors designed for global mapping and monitoring of soil moisture and landscape freeze/thaw dynamics. Primary science objectives for the mission include: improving understanding of processes linking terrestrial water, energy and carbon cycles; quantifying the net carbon flux in boreal ecosystems and reducing uncertainties regarding the purported missing carbon sink on land. NTSG is partnering with NASA to produce global operational land products and science applications for SMAP that address mission water and carbon science objectives. These products include SMAP Level 3 retrievals of daily landscape freeze-thaw status and a model enhanced Level 4 Carbon (L4C) product. 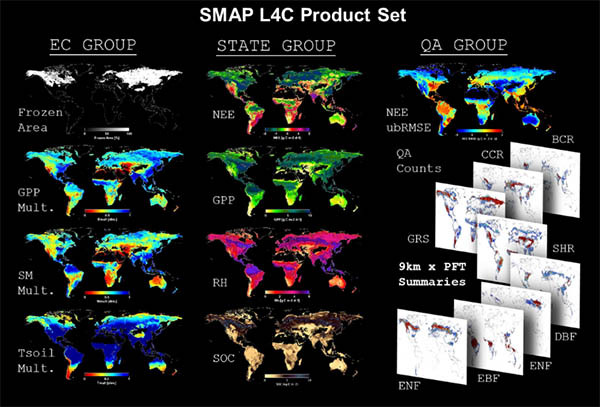 The SMAP L4C product provides consistent global daily estimates of the terrestrial carbon budget with refined accuracy and performance suitable for global change assessment and monitoring. The L4C product is publicly distributed and includes daily quantification of net ecosystem carbon (CO2) exchange, vegetation photosynthesis (GPP) and ecosystem respiration, surface soil organic carbon and underlying environmental controls on these processes, including soil moisture and frozen temperature constraints. Derksen, C., X. Xu, R.S. Dunbar, A. Colliander, et al., 2017. Retrieving landscape freeze/thaw state from Soil Moisture Active Passive (SMAP) radar and radiometer measurements. Remote Sensing of Environment 194, 48-62. Du, J., J.S. Kimball, J. Galantowicz, S.-B. Kim, S.K. Chan, R. Reichle, L.A. Jones, and J.D. Watts. 2018. 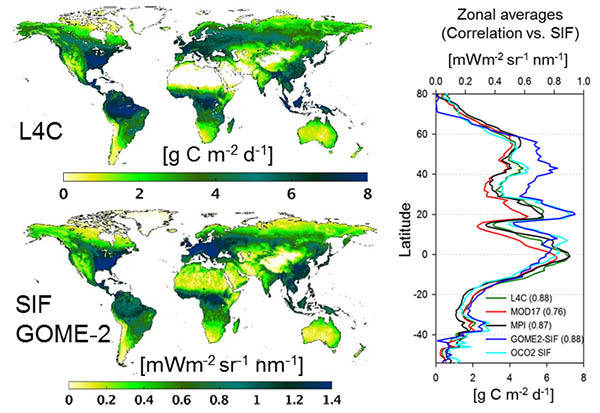 Assessing global surface water inundation dynamics using combined satellite information from SMAP, AMSR2 and Landsat. Remote Sensing of Environment, 213, doi:10.1016/j.rse.2018.04.054. Jones, L.A., J.S. Kimball, R.H. Reichle, N. Madani, J. Glassy, J.V. Ardizzone, A. Colliander, J. Cleverly, A.R. Desai, D. Eamus, E.S. Euskirchen, L. Hutley, C. Macfarlane, and R.L. Scott, 2017. The SMAP Level 4 Carbon product for monitoring ecosystem land-atmosphere CO2 exchange. IEEE TGARS, 55, 11, 6517-6532, doi:10.1109/TGRS.2017.2729343.